Strengthen the heart, lungs, and muscles with cardio exercise. Cardiorespiratory endurance activities test and improve the body's ability to sustain dynamic exercise, using large muscle groups over time. During this moderate- to high-intensity level of exercise, the body's circulatory and respiratory systems—the heart and lungs—must supply fuel and oxygen to the muscles. 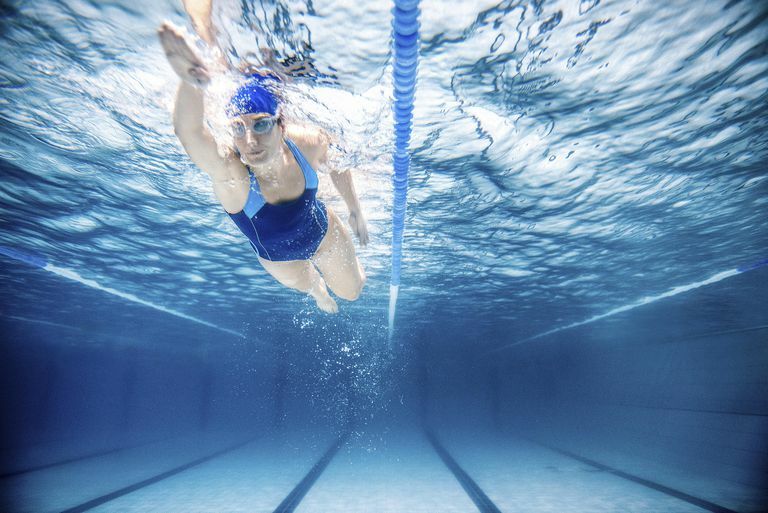 Activities such as running, swimming, and bicycling improve cardiorespiratory endurance. You will usually hear the term shortened to just cardio or aerobic. You might also hear these activities called cardiorespiratory fitness, aerobic fitness, aerobic endurance, cardiopulmonary fitness, or a cardio workout. These terms refer to this whole category of exercise, in which the primary goal is to boost the heart rate. In contrast, other forms of exercise like resistance training aim primarily to build muscle and bone strength. Exercises that target flexibility and balance are also important. How Much Cardio Exercise Do You Need? The U.S. Centers for Disease Control and Prevention recommends both aerobic (cardio) and resistance exercise for most Americans. Specifically, they recommend that children and teens get at least 60 minutes of physical activity every day, and most of it should be moderate-to-vigorous aerobic exercise. For adults, the CDC suggests that "adults should do at least 150 minutes (2 hours and 30 minutes) a week of moderate-intensity, or 75 minutes (1 hour and 15 minutes) a week of vigorous-intensity aerobic physical activity, or an equivalent combination of moderate- and vigorous-intensity aerobic activity." But you don't need to—and in fact should not—do all this exercise at once: "Aerobic activity should be performed in episodes of at least 10 minutes, and preferably, it should be spread throughout the week," according to the guidelines. Children prefer to do activities in shorter bursts, which may not meet the requirements for doing them for 10 minutes at a time but is still good for them. Sports: Chasing a ball or another player is great cardio exercise. Think of sports such as kickball, basketball, lacrosse, soccer, tennis, and other racquet sports. Winter sports like ice skating, cross-country skiing, snowshoeing, and even sledding (the walking uphill part) also require and build cardiorespiratory endurance. Your child will also get vigorous-intensity activity from martial arts, such as karate. Playground games: Many classic, kid-favorite backyard games, especially tag (in its many forms) require plenty of running around, which definitely gets hearts pumping. Dancing: Remember aerobics classes? Recreate the calorie burn with your own music and movies. Coordination is not required; movement is what really matters. You can also play dancing video games such as "Dance Dance Revolution." For non-sporty kids and parents, this is a great way to enjoy cardio exercise. Hopping, skipping, and twirling: Break out the jump ropes and hula hoops for a cardio workout that is kid-friendly and lots of fun, but also challenges the heart and lungs. 2008 Physical Activity Guidelines for Americans: Active Children and Adolescents. Office of Disease and Health Promotion. https://health.gov/paguidelines/guidelines/chapter3.aspx. What Are Some Fun Summer Activities for Bored Kids?